"I was driving Northbound on I-5 in San Diego this morning when I captured this motorcycle crash on my G1W-C dashcam. 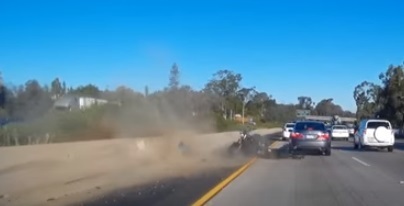 It's amazing this rider walked away from the accident; his helmet definitely saved his life! Thanks to the great people who took the few seconds out of their day to stop and help this guy."